Home » Press Customizr blog » Customizr theme releases » What’s new in the Customizr theme v3.2.9, v3.2.10 ? Thanks to @rocco for this new feature! DateTime causing a fatal error for php version < 5.2. I’m using customizr for the past year and i’m very happy with it. It’s just a wonderful theme! Thank you very. I have the same problem as Michael when viewing My Customizr Pro website on a Samsung tablet. As a pro user, could you please report this issue in the Customizr Pro support forum ? I am using the masterslider plugin with customizr. I can get slides i design in masterslider to load on ordinary pages in the main body. However I cannot get them to load so they can be used in lieu of customizr’s own slider template. I have tried puting the php code into the function.php but it doesnt like it. Firstly will customizr allow an upload of a slider plugin into the slider template in customizr. If so which is the correct php file to add to my child theme. 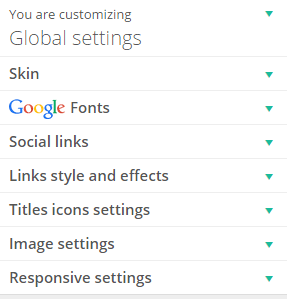 I just updated the customizr theme to version 3.2.10 and have a very strange problem. My images on the frontpage slider move up automatically after a second or so. I can not find any setting related to this or other way to disable it. Please help, thanks in advance. Please report this issue in the support forum of the theme and you’ll get help. I am also getting this issue. Did you resolve this? I just download your theme and try to customize for my new domain. There are one thing that i can not understand how to change it. I want to change the “icon” on every left tittle of the widget, for an example i want to change the icon like “eye” in the left of the tittle of your blog (“icon” Last post from the blog). Please tell me how to change it ? thanks indeed. You can disable the icon for the widget as explained here. If you need to customize the icon, please refer to this section of the documentation. 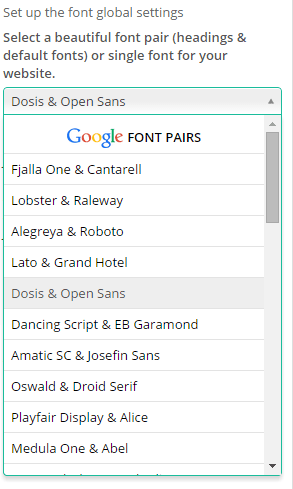 The theme uses several set of icon that you can easily use with some CSS lines of code. You can fix this issue by adjusting the z-index of your header. Navigate to Apperance > Customize > Header > Design and layout and increment the z-index until the overlay is fixed. I’ve been using Customizr with a slider on my front page. I’m trying to removed the Christmas pics in the slider and add new ones. Removing wasn’t a problem, but when I add a new photo I get the open at the bottom asking if I want to add it to a slider with a button for yes or no but the rest of the options do not appear – I can’t choose a slider name or anything else nor is there an “edit” option on the right as noted in the instruction on adding a photo to the slider. So now my slider has one photo. Any help would be greatly appreciated. This could be a plugin in conflict with the theme. Could you try to disable all your plugins and see if it fixes the problem ? Then reactivate your plugin one by one to see which one is in collision.